Portrait of Francis Basset, the future 1st Baron de Dunstanville and Basset (1757-1835), on the Grand Tour. The idea of travel as education has a long history. Euripides, a Greek playwright of the 5th century BC said: “Experience, travel—these are as education in themselves”; and this idea remains popular today. But what exactly is it that travel teaches us? In this blogpost, we look at the evolution of educational travel in the West over the last 500 years, and at the ideas behind the persistent belief in the educational benefits of travel. A turning point in Western ideas of ‘travel as education’ seems to have occurred around the 16th Century. As tourism academic Brodsky-Porges explains “[it was during the] 1500-1600 period that leisure touring formally emerged as a means of education. Roughly speaking, it was at this time that the practice of the upper-classes of sending their sons abroad as part of the educational scheme became successively an experiment, a custom, and finally, a cultural norm.” This was particularly so amongst the English, but travel for education was also popular in the late 16th and early 17th centuries with French, Polish and Venetian noblemen. This practice of wealthy young men travelling abroad gradually developed into the Grand Tour: a tour of the great sights of Europe which was seen throughout the 18th century as essential to completing the education of a young English gentleman (and less commonly of young ladies also). The tour followed a roughly standard itinerary (although this evolved over time), taking in the great cities of Northern Europe and then southwards to Italy, where the student could come in to contact with the much revered cultural legacy of classical antiquity and the Renaissance. The rising popularity of educational travel across the 16th-19th centuries had both philosophical and political elements. In the earlier part of the period, influential thinkers such as Michel Eyquem de Montaigne (1533 – 1592) and Francis Bacon (1561 – 1626) argued for the importance of travel in a young gentleman’s education. Montaigne stated that “a mere bookish learning is a paltry learning,” advocating students pursue “some direct adventuring with the world.” Baconian philosophy, which promoted direct experience over abstract reasoning, supported travel as a means of learning; and in his essay Of Travel, Bacon said that “travel in the younger sort is part of education, in the elder a part of experience”. In the 18th century, the rise of Enlightenment philosophy was hugely important in encouraging both education, and travel as a means to that education. The philosophy of John Locke, who argued that knowledge is produced from the experience of our senses, was particularly influential. James Buzard, Professor of Literature, explains the link between Lockeian thought and the Grand Tour as follows: “If knowledge is rooted in experience and nowhere else, travel instantly gains in importance and desirability.” The Grand Tourist was to learn through experience: social skills and connections through mixing with European polite society; and cultural knowledge, including art, music and architectural appreciation, by visiting the great cities of Europe. But who travelled and what they were to learn was a political as well as philosophical matter. Throughout this period education-seeking travellers were typically gentlemen, members of the ruling elite. In Elizabethan times, these gentlemen students were to travel abroad to learn the linguistic, social and political skills necessary for the task of ruling and to aid the state in matters of diplomacy and even espionage. Likewise, during the height of the Grand Tour in the 18th century, the travellers were also young gentlemen who went abroad to gain the cultural knowledge and social polish regarded as necessary for members of the ruling class. The socialist historian E. P. Thompson argued that “ruling-class control in the 18th century was located primarily in a cultural hegemony, and only secondarily in an expression of economic or physical (military) power.” Viewed from a Marxist perspective such as this, the real value of a Grand Tour might not be personal self-development per se, but rather the socialisation of the gentlemen-travellers into an elite ruling class. Other historians and contemporaries also noted that the Grand Tour may have had non-educational purposes too: a way to display one’s wealth and status (linked with rising consumerism), and even a way to get rid of troublesome young men with too much money and free time! Whatever these additional functions, for over 300 years the educational narrative of travel endured, and was manifested in the popularity of the notion of the Grand Tour. The 19th century saw a widening of who undertook educational travel. Increasingly, wealthy young women, and older professional men went on shorter tours of the continent with education and leisure in mind; and, with the rise of the railways and steamships from the 1840s, foreign travel became increasingly accessible for the middle and working classes too. Such travel was encouraged by reformers who felt that it could be educational and ‘civilising’ for the working classes. A key player in this was Thomas Cook, who set up his now famous travel agency in an “attempt to harness the educational potential of travel by transforming it into a commercial product that the average consumer could afford.” Cook and others organized tours for working men to visit the Great Exhibitions held throughout the second half of the 19th century in London and Paris. Historian Dr Susan Barton describes these excursions as an example of Cook’s “consistent support for working-class travel as a means of self-improvement and education through the first-hand experience of new ideas, places and technologies.” As Dr Barton explains: “In keeping with Victorian values of self-improvement and rational recreation, exhibitions were regarded as suitable subjects of the working-class traveller’s gaze as they were deemed to be educational.” In an era of increasing industrial competition between European nations, a technically educated workforce was now considered important, and educational travel was thus encouraged for the masses. Just as the educational Grand Tour had its political motivations to create appropriately educated leaders, so too did the educational travels of the Victorian working class in its creation of appropriately educated workers. In the next blogpost we will examine more recent trends in educational travel, and what it is that we believe travel can teach us today. 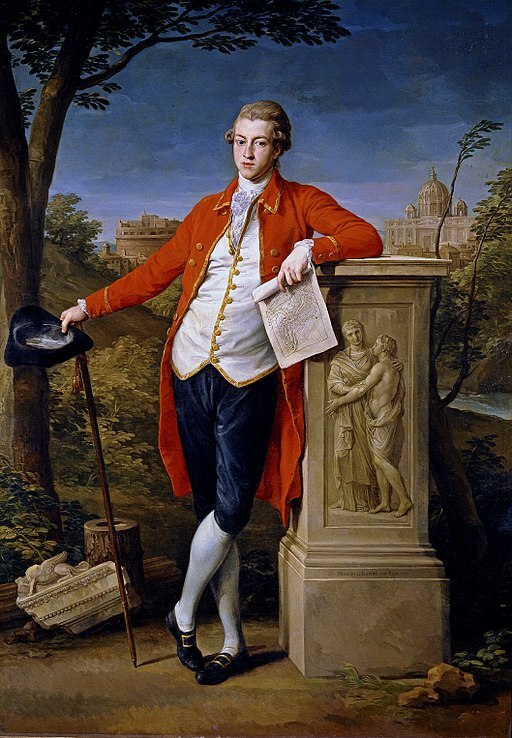 Although the idea of the Grand Tour as being essential to complete a gentleman’s education was widely accepted and much written about by contemporary commentators, we should remember that it was an activity exclusive to the upper classes (and mostly young men) and as such the actual numbers of travellers must have been relatively small. Sedentism: The great settling down?